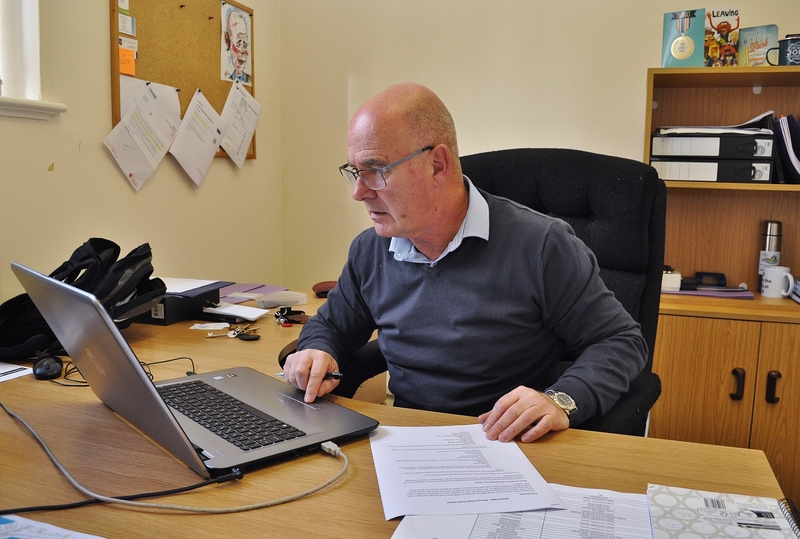 Sheldon now has a Sheldon Town Manager, John Coyle. 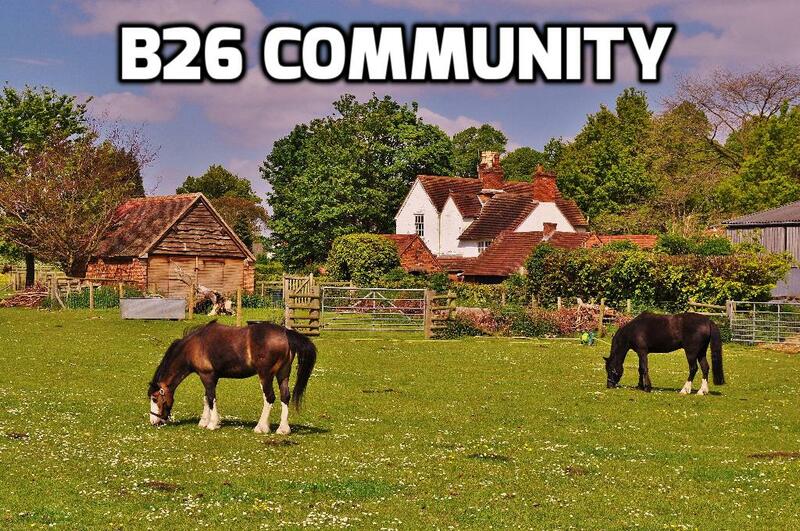 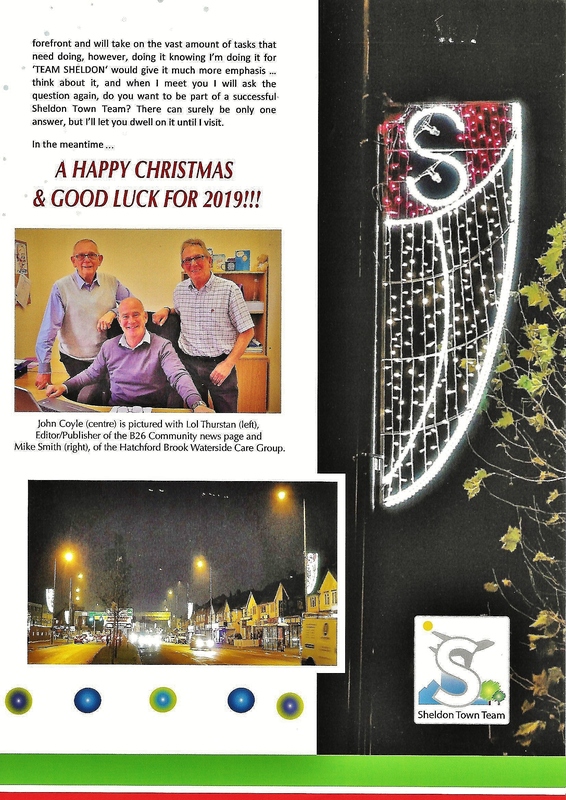 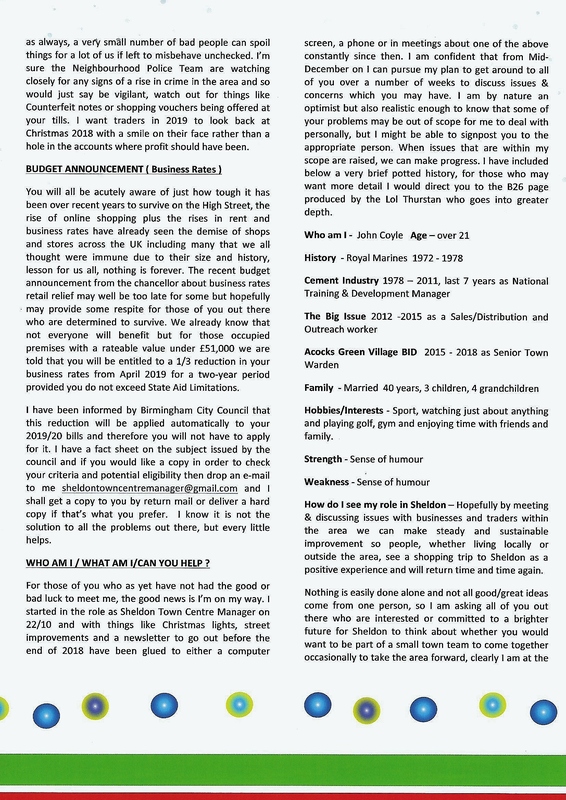 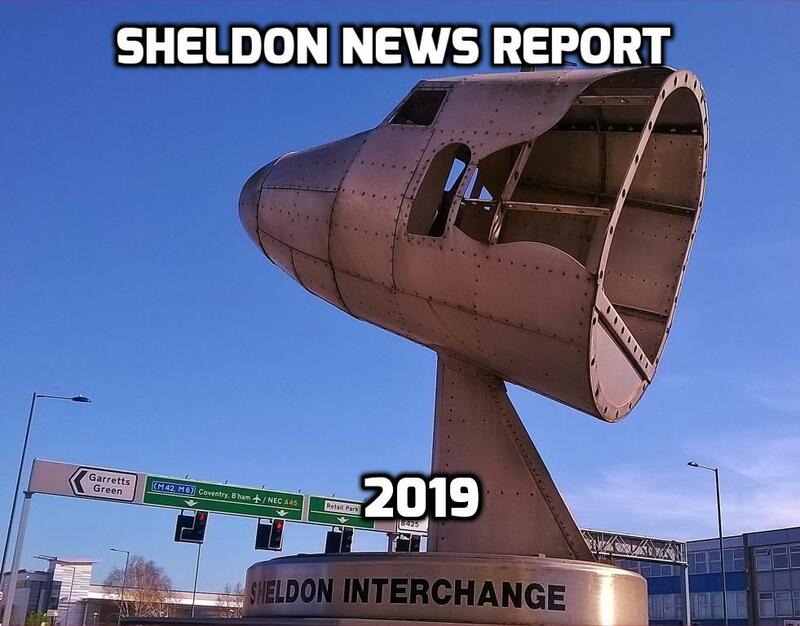 At the last Sheldon Ward meeting, John informed the delegates that he had produced a newsletter for the traders on the Coventry Road, he also said he would like it put onto the B26 website. 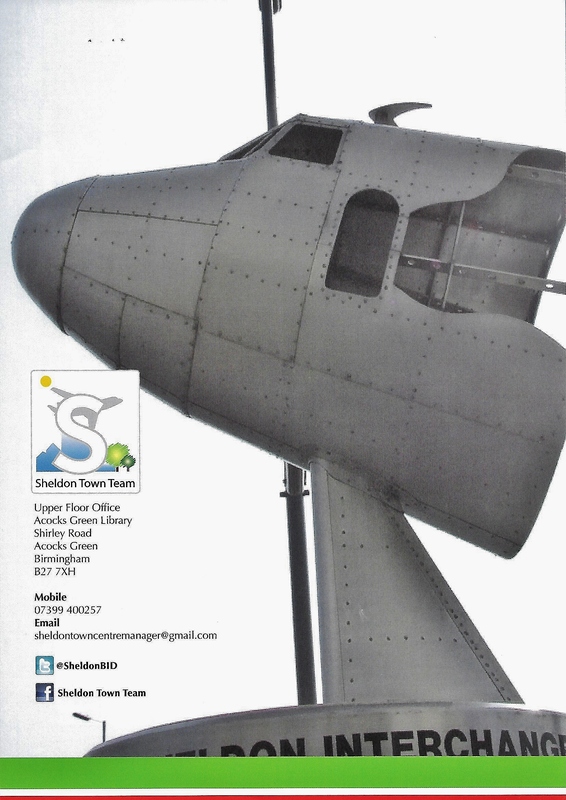 John visited me today with a few copies of the newsletter called the ‘Sheldon Bugle’. 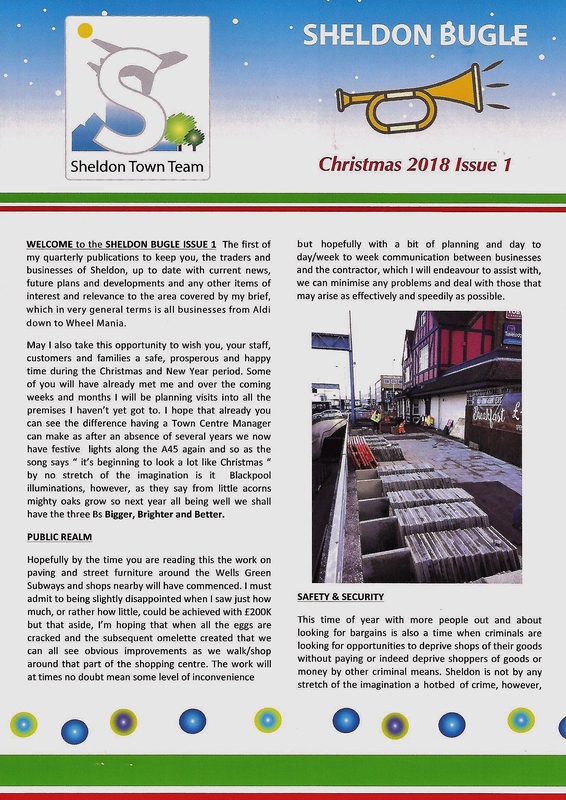 Please see below copies of the newsletter.